Egypt's Azhar, the country's highest Islamic Sunni authority, condemned the terrorist attack which killed at least seven Copts and injured twenty near the Monastery of Saint Samuel the Confessor in Upper Egypt's Minya on Friday afternoon. Al-Azhar extended its condolences to all Egyptians and to the families of the innocent victims. 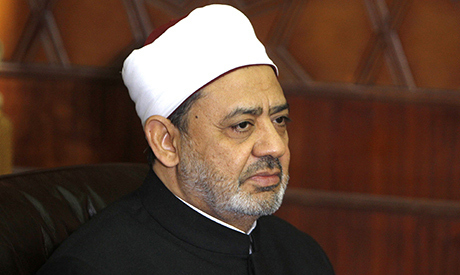 Al-Azhar stressed that "the targetting by terrorists of Egyptians will only increase their determination marching foward united in the war against terrorism." Egypt's parliament speaker Ali Abdel-Aal also condemned the attack, saying "it aims to undermine the security and stability of the country." Egypt's President Abdel-Fattah El-Sisi had issued a statement on his official Facebook page shortly after the attack mourning the victims, vowing to continue the war against terrorism. The President also called Pope Tawadros II, the head the Coptic Orthodox Church, to extend his condolences to the families of the victims.